The larvae which feed on Terminalia spp., and Hibiscus tiliaceus are attended by green tree ants, Oecophylla smaragdina. Mature larvae have a green body with a brownish band and other markings. 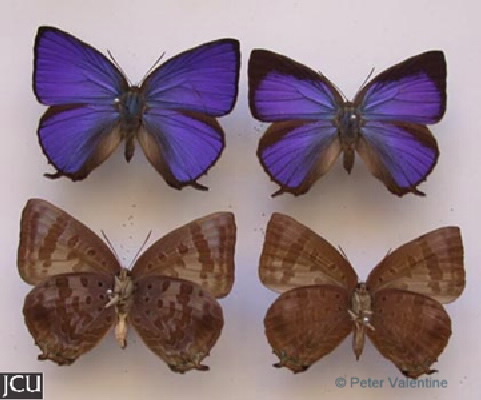 Adults shining dark purplish-blue with black margins, hind wing with a black tail, veins obvious; lower surface purplish-brown with irregular brown markings.